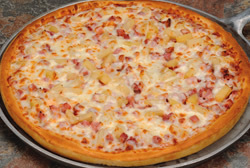 The way pizza should be. Valentino’s pasta is famous for its slightly sweet, savory pasta sauce, layered over the finest pasta – authentically served al dente. 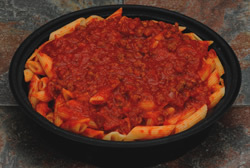 Mostaccioli noodles smothered in Val's homemade sauce. 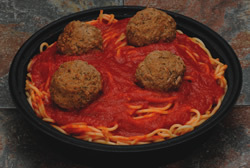 Classic spaghetti complemented with our special sauce and topped with delicious, homemade meatballs. 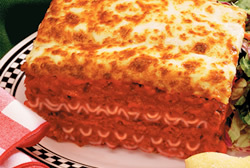 Tender lasagne with our own legendary marinara sauce. 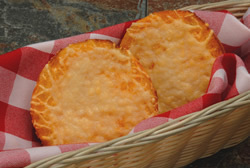 Baked to perfection with a special whole-milk mozzarella cheese. Individual and family sizes available. 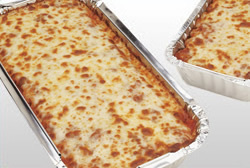 If you love our baked lasagne, you'll love our baked mostaccioli. 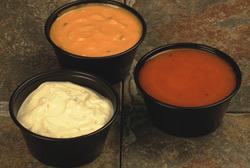 Made with our marinara sauce and whole-milk mozzarella cheese. Individual and family sizes available. 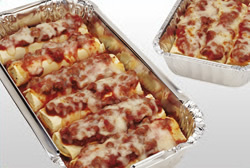 Giant manicotti noodles stuffed with tasty ricotta cheese and smothered in meat sauce. 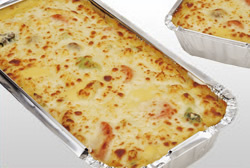 A baked casserole with fresh vegetables, spirals, and Italian spices tossed in our beer cheese sauce and baked with mozzarella. A baked casserole with heavy meat sauce, cottage cheese, mushrooms and lots of mozzarella. 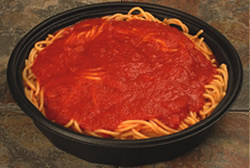 Classic spaghetti smothered in our special sauce. 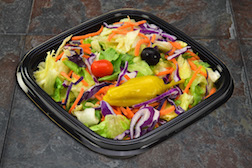 Valentino’s fresh salads are made in-house, and make a perfect addition to any pizza or pasta. 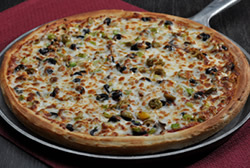 Crisp iceberg lettuce, topped with tomato, black olive and pepperoncini served with your choice of dressing. Available in Individual and Family-sized portions. 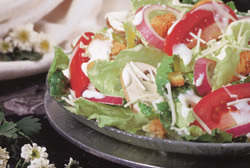 Crisp iceberg lettuce, mushrooms, tomato, black olive, sliced red onions, croutons and romano cheese served with our house dressing. Available in Individual and Family-sized portions. 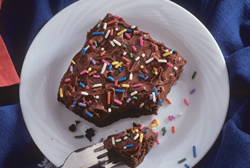 An old favorite from Valentino’s very own kitchen. 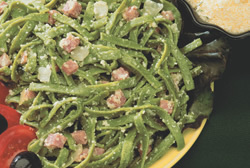 Spinach fettuccine with salami, parmesan cheese and a few more secret ingredients to make this salad PERFECTION! 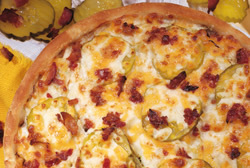 An American classic done the Val's way. Elbow noodles in our own fresh dressing. 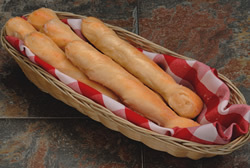 No Valentino’s order is complete without our famous Garlic or Cheese Rolls. 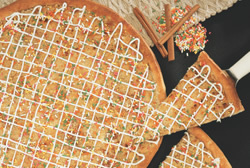 And a delicious fruit dessert pizza completes a wonderful, authentically Italian meal. 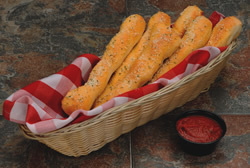 Topped with garlic butter and parmesan cheese and served with pizza sauce. 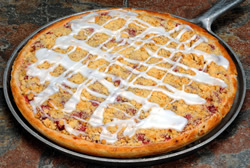 Covered with delicious cinnamon icing. 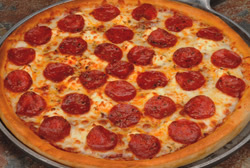 Topped with our famous garlic butter and romano cheese. 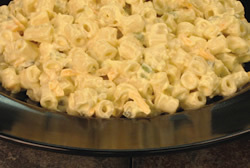 Buttered and topped with romano cheese.